Solutions to unlock the potential of distributed teams. Collaborate from anywhere, on any device. Our fully unified video conferencing solutions allow you to connect easily to any other video conferencing system, no matter what brand, platform or device. Allow your mobile workforce to join conferences via laptop, tablet or smartphone. Improve communications with teams on the road without slowing them down. Our room based video conferencing systems bring you stunning, Full High Definition detail with simplified booking & meeting setup. Leverage the power Microsoft Teams and Skype for Business. Standards based solutions that scale effectively. Because we partner with the leading video conferencing technology vendors, and have staff located in over 150 cities across the globe, we can help you standardize and deploy a network of video conferencing spaces at any scale. From a single video conferencing room, to a global deployment of infrastructure and endpoints, the Pro AV Solutions team has unrivalled expertise in helping Australian and international organizations succeed with video conferencing and unified communications. We know you don’t have time to waste getting your video meetings up and running. Our one-touch room systems get meetings started in seconds. Bring a new dimension to meetings with live video and content sharing. Because much of our communication is non-verbal, video conferencing enhances communication and collaboration in any environment. Meeting participants become fully engaged and meetings are more productive. Content sharing ensures that ideas and problems are visualized, and decisions are informed. 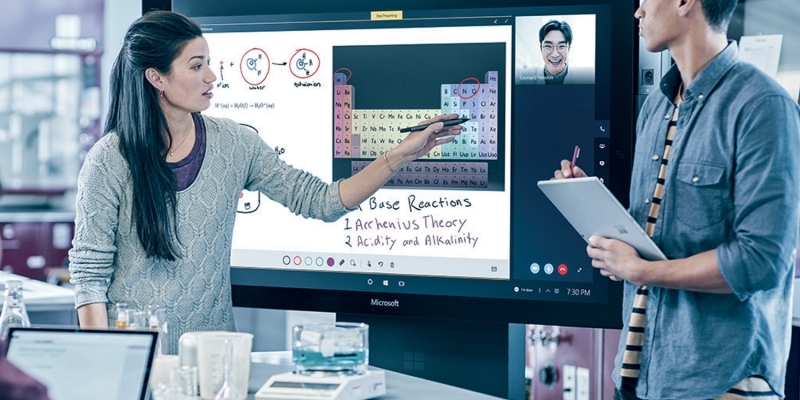 Pro AV Solutions is an Authorised Reseller for Microsoft Surface Hub. Find out how this amazing new technology can unlock collaboration for your teams today. A solution for any room type.